1. Choose the number of classes (K) and the error threshold eth, and set the initial guess for the centroids v® where the iteration number p = 0. 4 This is not the N used in derivation in section 9.4.1. Figure 9.12: Fuzzy C mean (FCM) algorithm. 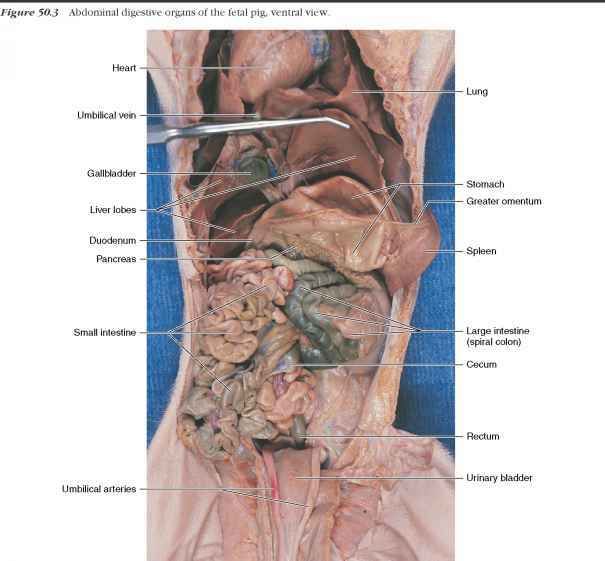 Input is an image volume. An observation vector is built. Initially, the current centroid is given by the initial input centroid and K the number of classes. With the observation vector the membership function is computed, and with it a new centroid is computed. This new centroid is compared to the current centroid, and if the error is too large, the new centroid is copied into the current centroid and the process repeats. 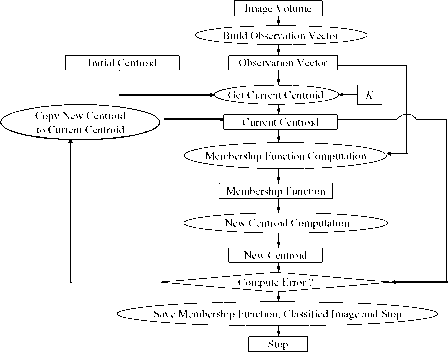 Otherwise, if the error is below the threshold, the membership function is saved, and the result is a classified image. 4. Convergence was checked by computing the error between the previous and current centroids (yv(i'+1) — v^H). If the algorithm had converged, an exit would be required; otherwise, one would increment p and go to step 2 for computing the fuzzy membership function again. The output of the FCM algorithm was K sets of fuzzy membership functions. We were interested in the membership value at each pixel for each class. Thus, if there were K classes, then we threw out K number of images and K number of matrices for the membership functions to be used in computing the final speed terms. Figure 9.13: Mathemetical expression of the FCM algorithm. 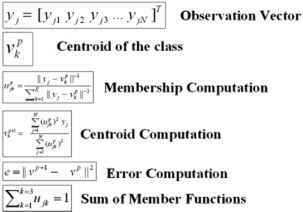 Equations for the observation vector, centroid of the class, sum of the membership function, membership computation, centroid computation, and error computation are shown.